We are playing the Satellite on Thursday, October 6. Also playing are Incan Abraham, One Trick Pony, and The Soft Hands. Here is a link to tickets! 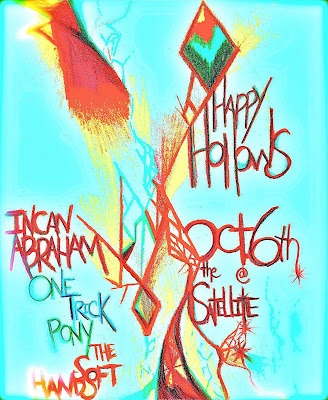 Tickets to Happy Hollows Show at The Satellite!